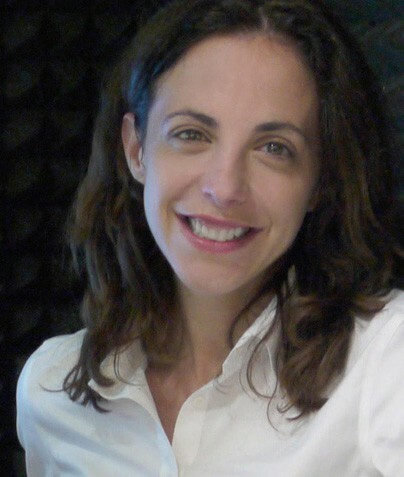 Elizabeth Hellmuth Margulis is Professor and Director of the Music Cognition Lab at the University of Arkansas. Her research approaches music from the perspective of cognitive science. She is interested in the interface between musical structure and engagement, especially in listeners without formal training, and especially as it occurs dynamically across the course of the listening experience. Her book On Repeat: How Music Plays the Mind (Oxford, 2014) won the Wallace Berry Award from the Society for Music Theory and the Deems Taylor/Virgil Thomson Award from the American Society of Composers, Authors, and Publishers. Dr. Margulis has a B.M. in piano performance from the Peabody Conservatory of Music, where she studied with Veda Kaplinsky, and a Ph.D. from Columbia University. IAM Lab: Did you always hope/plan to be both a concert pianist and a scientist? How did that decision or evolution occur? EHM: Like many in my generation, I got hooked on cognitive science as a teenager through popular press books by Douglas Hofstadter and Marvin Minsky. But I was pretty certain I wanted to be a concert pianist, and knew that path required total focus. I enrolled at the Peabody Conservatory of Music thinking I’d be safe from academic temptation, sequestered downtown away from the Homewood campus. But questions about how my classmates and I made performance choices kept nagging at me, and I couldn’t find satisfying answers within the halls of the conservatory. I ended up boarding a bus to take an introductory class called Minds, Brains and Computers from Paul Smolensky at Hopkins. By the second class meeting, it was clear that many of these questions could be addressed using the methods of cognitive science. The potential of finding answers was thrilling, and I quickly understood that I wanted to do research even more than I wanted to play the piano. IAM Lab: Describe your research in music cognition. EHM: I’m interested in how music can be compelling and powerful even when people have never formally studied or thought or talked much about it. One recent line of work looks at how music’s repetitiveness engages a special kind of listening. Repeated hearings can teach people a lot about music implicitly — without them knowing they’re learning anything at all. Another line of research examines how experiences outside the sound itself — cultural context and verbal information, for example — impact the way people hear, even at a basic perceptual level. Most recently, we’ve been trying to understand the narrative mode of listening people bring to some kinds of music — their sense that the music is telling a kind of story. Where does this tendency come from? In what situations does it arise? How malleable are the mappings between sound and story? IAM Lab: IAM Lab is focused on amplifying human potential (which we define as health, wellness and learning) through an interdisciplinary approach to arts and brain sciences. What are the practical applications of your work in improving health, wellness or learning? EHM: Our work on the role of factors like cultural context and verbal information has the potential to affect the way music is learned and shared across different social groups, impacting communication and cultural understanding in situations with conflict. Reactions to music often feel so visceral that it’s hard to imagine that the emotional valence lies in our minds, not in the sounds themselves. By uncovering the processes that lead music to be valued and experienced in different ways by different people, we can set the ground for productive conversations across communities. There’s also potential for sparking new models in music education that incorporate emerging knowledge about the most effective ways to help people connect to unfamiliar music. The work on repetition aims to uncover some of the mechanisms people rely on to engage with music, informing future health and wellness interventions. This research tries to identify what is distinctive about the musical mode of attending, exposing cognitive processes that can be harnessed for therapies seeking to amplify some of the known benefits of musical participation. IAM Lab: In the spirit of interdisciplinary research, who would you most like to collaborate with professionally and in what way? EHM: My dream would be to participate in a group comprised of committed musicologists, music theorists, and ethnomusicologists — people accustomed to looking at music from a humanistic perspective — psychologists, computer scientists, and neuroscientists — people accustomed to looking at music from scientific and quantitative perspectives — and composers, clinicians, performers and avid listeners — people accustomed to making and using music in their daily lives. I would love for a group like this to have 10 days in a secluded environment to think through the lines of research and approaches most likely to yield maximal insight into what remain the considerable mysteries of human music making. IAM Lab: What are you most excited about in your work today? EHM: I’m excited about my new book, the Psychology of Music installment in Oxford’s Very Short Introductions series, which should be out late next year. It’s a slim volume that I’m hoping will get lots of people in different disciplines to think about issues and questions in music cognition. The more people with different areas of expertise start thinking about the puzzle of music, the likelier we are to make significant headway! A collection of neuroscientists, physicians, artists, architects, dancers and musicians asking big questions at the intersection of brain science and the arts. We’re part of the Brain Science Institute at the Johns Hopkins University School of Medicine.